It is generally accepted that the First World War was triggered by the assassination of Archduke Franz Ferdinand by the Bosnian Serb Gavrilo Princip. In recent years, however, an extra twist has been added: that the only reason Princip was in a position to fire at the Archduke was because he happened to be eating lunch when the Archduke’s car drove past. 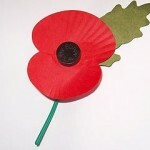 Millions of lives were lost during the war that followed. 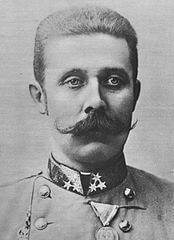 The Russian Revolution, the rise of Hitler and Nazism, the Second World War, and even the atomic bomb can arguably be attributed to the First World War, and thus, to the assassination of Archduke Franz Ferdinand. It’s sobering to think that all of those terrible things might never have happened if Princip hadn’t felt a little hungry and stopped off at Schiller’s delicatessen for a sandwich. The sandwich theory, however, is deeply flawed. The Smithsonian blog published an excellent debunking of it back in 2011. It appears that the original source of the sandwich was a novel by a Brazilian TV host. The post is very interesting, and well worth a read. When I first heard about this, I wasn’t at all sure how to feel about it. It seemed to trivialise a truly earth-shattering event, and I couldn’t understand why people felt the need to focus on the apparent coincidence of the Archduke’s car happening to go past the delicatessen where Princip was having his lunch. When I mentioned it to my wife, she came up with what seems like a very plausible theory. 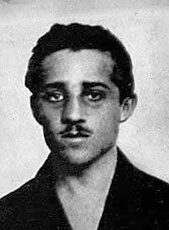 People have difficulty relating to the event, because they have nothing in common with Princip. People find it hard to empathise with a murderer, and the fact that the act had such incredible consequences makes it even harder to relate. Everyone, however, can relate to eating a sandwich. It’s something we all do, so it gives people something in common with Princip, some tiny little thing that they can relate to, and that makes the whole story easier to take in. The sandwich is a minor detail, and perhaps it doesn’t matter if such minor details are incorrect. If the sandwich was told as an interesting aside, maybe it wouldn’t bother me quite so much. The problem is that in some accounts, it takes on a great deal of importance, and is said to be what led Princip to be in the right place at the right time to fire the fateful shot. The implication being that, if Princip hadn’t had that sandwich, he wouldn’t have killed the Archduke, and history would have been very different. However, the Archduke had already survived one assassination attempt that day, and even without his assassination, a war was likely. These things are all too easily forgotten when people focus on the apparent bizarre coincidence of the sandwich. Suddenly a major war (and all the events that can be said to have happened as a result of that war) happens just because one man ate a sandwich. If that were true, all well and good, but it isn’t, and so many people get a completely wrong understanding of the events that led to a major war where millions died. No doubt there will be much written and spoken about the war over the next four years, as the centenary of various events comes around. Let’s make an effort to honour those that suffered by doing our best to get the facts right. It’s not always easy, of course, and an honest disagreement over the correct interpretation of events is perfectly valid, but there’s no excuse for making up stories or coincidences that simply didn’t happen.